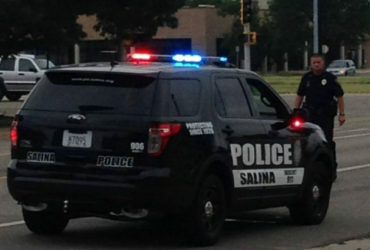 Two Salina men were sentenced Monday on federal drug and gun charges. Seth Allen George, 26, Salina, Kan., was sentenced to 18 years in federal prison. He pleaded guilty to one count of conspiracy to distribute methamphetamine and one count of brandishing firearms in furtherance of drug trafficking. Tyler Lee Shea, 21, Salina, Kan., was sentenced to 15 years in federal prison. He pleaded guilty to one count of conspiracy to distribute methamphetamine and one count of possessing firearms in furtherance of drug trafficking. In their pleas, both men admitted they were members of a drug trafficking organization operating in the Salina area in 2016. Co-defendants include Kyle Allen Palmer, who was sentenced to 180 months, and Jason Lars Sheets, who is set for sentencing July 10. Beall commended the Bureau of Alcohol, Tobacco, Firearms and Explosives and Assistant U.S. Attorney Greg Hough for their work on the case.